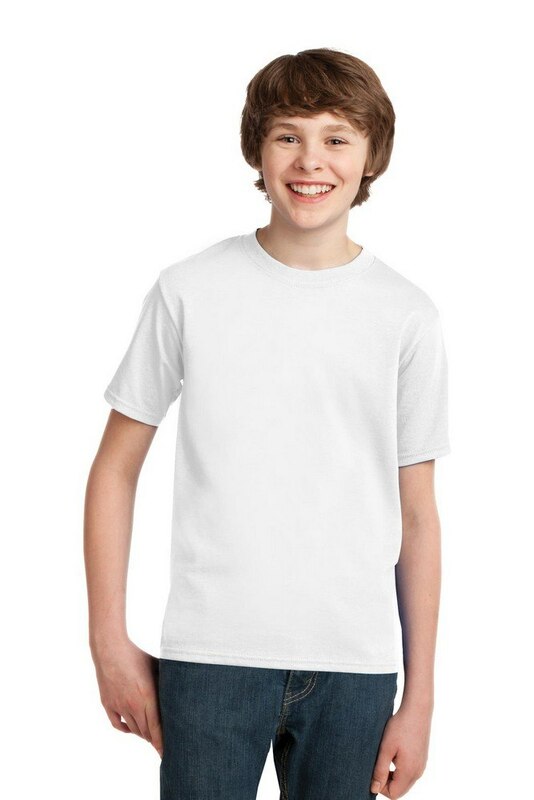 Wear the Port & Company Youth Essential White T-Shirt and head out with supreme confidence and aplomb for it is a classic and incidentally our best-selling t-shirt voted "most popular" by groups, teams, clubs and schools across America. 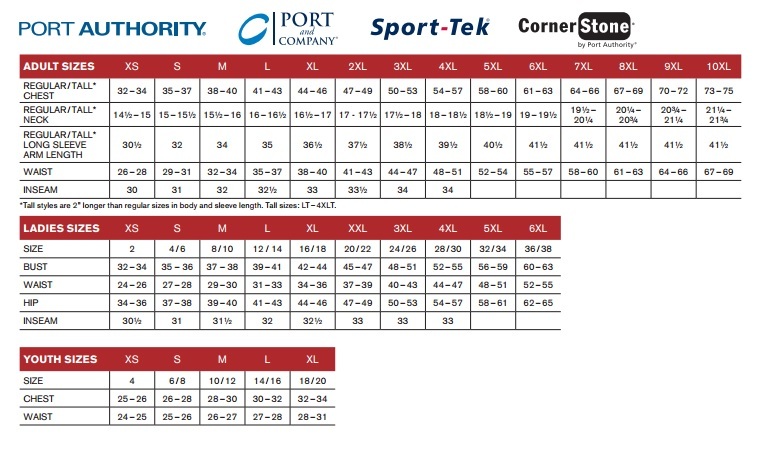 It is woven from Heavyweight 6.1-ounce, 100% soft spun cotton, 98/2 cotton/poly (Ash) and 90/10 cotton/poly (Athletic Heather) to deliver that much desired looks and quality. Its other features include shoulder-to-shoulder taping for looks, cover seamed neck for comfort, Double-needle hem for elegance .With your logo imprinted, these become your perfect promotional tool on the field. Click on the location(s) where you want your imprint to appear.